Help Desk Manager careers are built on a foundation of communications and strong relationships. It is important to quickly build relationships and collaborate with key stakeholders of your support department to be successful. 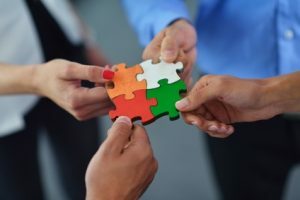 A new Help Desk Manager needs to have clear lines of communication with at least 4 key stakeholder groups their new department interacts with. These 4 key stakeholder groups for a Help Desk Manager are your boss, the customers you support, the staff that report to you, and vendors you have contracts with. Understanding the stakeholder group’s perspective of the support your department provides is very important. This perspective will tell you what is working and what is not. A stakeholder may raise an issue of something not working correctly, however they most likely will not know the root cause of issues they raise. All items raised should be logged, researched, and if applicable have a solution implemented. This will help you uncover real or perceived issues. Timely feedback on the status of this investigation is critical. For vendors it is important to be very familiar with the contract, contracted services and ensure you have processes in place to measure their performance. Remember your boss also has a boss who expects solutions and results. It is critically important to understand your boss’s short term and long term goals, objectives, and priorities. This will allow you to set your department’s goals, objectives, and priorities that are in alignment. Setup a method to track your progress against completing your department’s goals, objectives, and priorities. When providing updates and communicating with your boss, understand the method your boss like to communicate. Some people prefer email updates while others like in person. It is always a good idea to include the baseline status, recap the improvements made, and then provide details of how the improvement made to the business. Meet with your boss to set your department’s goals, objectives, and priorities as the new Help Desk Manager. Discuss with your boss any issues with your department. Setup an agreed method to report your progress addressing issues and status against meeting your department’s goals, objectives, and priorities. Try to secure a reoccurring scheduled 1:1 meeting with your boss. A weekly meeting with a set agenda is preferred. Customers of a Help Desk can be internal departments, external companies, or the direct public. Most of the following information is based on internal departments as your customer but these principles can translate into external support with slight modifications. As a Help Desk Manager, keeping the customers happy, productive, and informed is a top priority for your department. It is your job as a Help Desk Manager to ensure the customer service meets or exceeds your customer’s expectations. You must ensure customers receive proactive and timely communications about significant changes or outages that will impact their area. Agreeing with customers on expected levels of service is critical for success as a new Help Desk Manager. For example if your customer expects a new printer order to be fulfilled within 3 business days and your team thinks 5 days are reasonable, you will not meet customer expectations most of the time. Identify your customer groups and setup introductory meetings with leaders from each group. If you have external customers, you may have internal account or service delivery managers to meet with. Have your customer identify their most important or mission critical applications or services. If you have external customers this information can be found by looking at ticket trends. Determine how well your team is fulfilling the services by investigating your ticket metrics of Key Performance Indicators (KPIs). Ask your customer what are the top things they recommend to be changed or improved. It is also important to ask what things are performing well and should not be changed. With the gathered information, agree with your customer what the most critical improvement actions should have the highest priority. Try to secure a reoccurring scheduled meeting with leadership of the customer groups. A monthly meeting with a set agenda is preferred. Your staff is concerned with their pay, schedule, work environment, career opportunities, and recognition of their efforts. The want to feel appreciated and if they do not, morale, productivity, and employee engagement will be negatively impacted. To keep staff engaged, you and their direct supervisor must meet with them regularly. This means meeting with staff individually and as a team. As a new Help Desk Manager, it is important to create positive energy in the work environment by obtaining input from the staff on what issues are present and acting on it. Many companies use an outside consultant as the initial meeting facilitator to create a safe and confidential environment. Staff will be more comfortable confiding with an outside consultant and will improving the detail and accuracy of the information gathered. Once you have the compiled input from the staff, the results should be shared and discussed with the team. The discussion should lead to recommendations to correct issues. Then meet with the department leadership to discuss issues and recommended improvements. Come up with a priority plan to implement the approved improvements. Continuously communicate the issues, improvement plan, and implementation status to the staff. Setup reoccurring monthly team and individual contributor meetings. Weekly team meetings and monthly individual meetings are recommended. For your initial meetings, compiled a list of issues and proposed solutions. Secure agreement and buy in from your boss and staff on the proposed solutions. Prioritize the list of solutions, define an implementation plan, and assign projects and tasks. Communicate status of your improvements with accurate metrics and data to your stakeholders. Vendors must be actively managed and have clear lines of communication, so it is important to be engaged. Start by reviewing the current contracted agreement between your company and a vendor. Understand the who, what, when, and how specified in the contract. The agreement will have very important information specifying the service they provide and should have measurable targets identified. Analyze performance reports and determine what areas of improvements are needed, including the actual performance report data. Once you have a good understanding of the agreed service targets in the contract and performance, it is time to reach out to the vendor account manager. Have scheduled status meeting and ensure that you receive good performance reports. Review vendor contracts related to your department and any performance reports provided by the vendor. Document any gaps in service, areas of concern, and information needed in the future. Meet with the vendor account team. Discuss gaps in service, areas of concern, and information needed in the future. Establish a reoccurring meeting with each vendor to discuss performance and improvement initiatives. Preferably schedule a weekly meeting. To build and advance your career as a Help Desk Manager, it is important to quickly build relationships and collaborate with key stakeholders and have clear lines of communication. All issues raised should be logged, researched, and if applicable have a solution implemented. Timely feedback on the status of this investigation is critical. Follow these steps to build a world class department for your company and be a successful Help Desk Manager. Good read! The content of this posts really helps a lot building a good relationship at work. I’ll recommend this to my friend whose entering helpdesk services. Thanks for sharing!